Make this Comforting Instant Pot Broccoli Cheese Soup Recipe (Pressure Cooker Broccoli Cheese Soup) right at home. This Easy Vegetarian Broccoli Cheddar Soup is a creamy rich cheese-lovers dream! The year has passed by so quickly, and we couldn’t believe we’re already anticipating the season’s first snowfall! 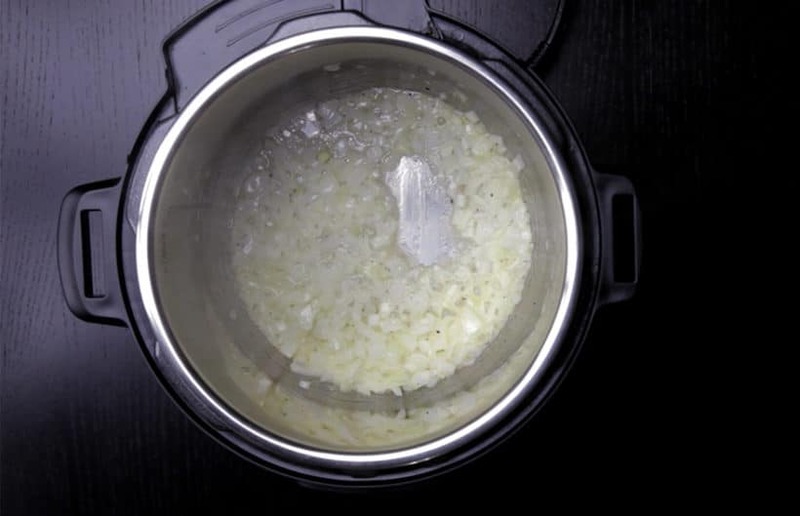 Heat up your pressure cooker over medium heat. Make sure your pot is as hot as it can be. Pour 1 tbsp (15ml) olive oil & 2 tbsp (28g) unsalted butter in pressure cooker. Ensure to coat oil & butter over whole bottom of the pot. Add chopped onions in Instant Pot. Lightly season with kosher salt and freshly ground black pepper. Saute for roughly 2 minutes until soften but not brown. Add in chopped garlic and saute until fragrant (~30 seconds). Add in about 16 broccoli florets and saute until it smells earthy (~90 seconds). Add in chopped carrots, 3 tbsp (45g) Jasmine rice, and 1 tsp ground mustard. Give it a few quick stirs. Pour in ½ cup (125ml) unsalted chicken stock and completely deglaze bottom of the pot by scrubbing the flavorful brown bits with wooden spoon. 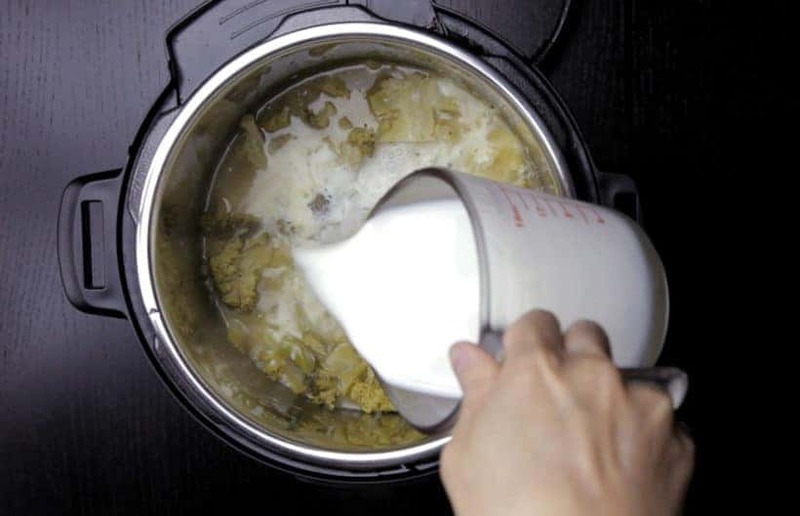 Add in remaining broccoli, 2 tbsp (30ml) fish sauce, and 2 ½ cup (625ml) unsalted chicken stock. 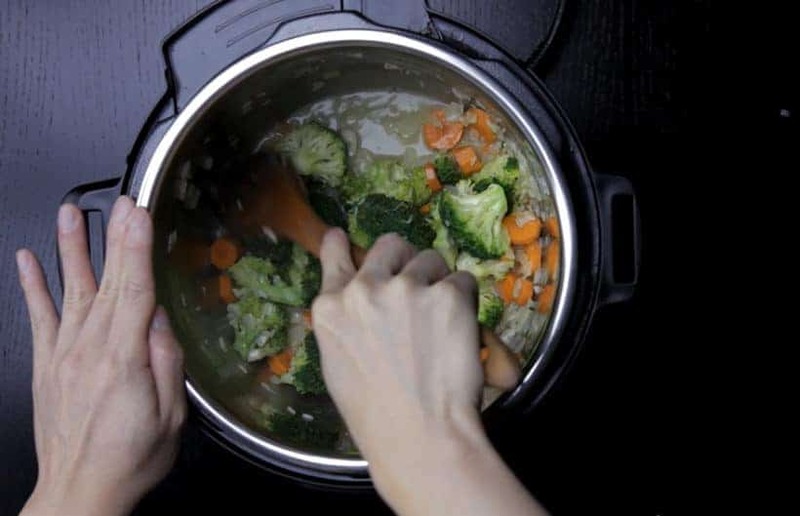 Pressure Cooking Method: High Pressure for 3 minutes, then 10 minutes Quick Release (after pressure cooker has finished cooking, wait 10 minutes then carefully release the remaining pressure). While the soup is pressure cooking, freshly grate the cheddar cheese. In a bowl, reserve 16 – 18 broccoli florets. Pour in 2 cups (500ml) whole milk to slightly cool down the broccoli soup. Blend broccoli soup into a smooth consistency with an immersion hand blender. *Optional: Strain the broccoli soup over a fine mesh strainer for maximum smoothness. 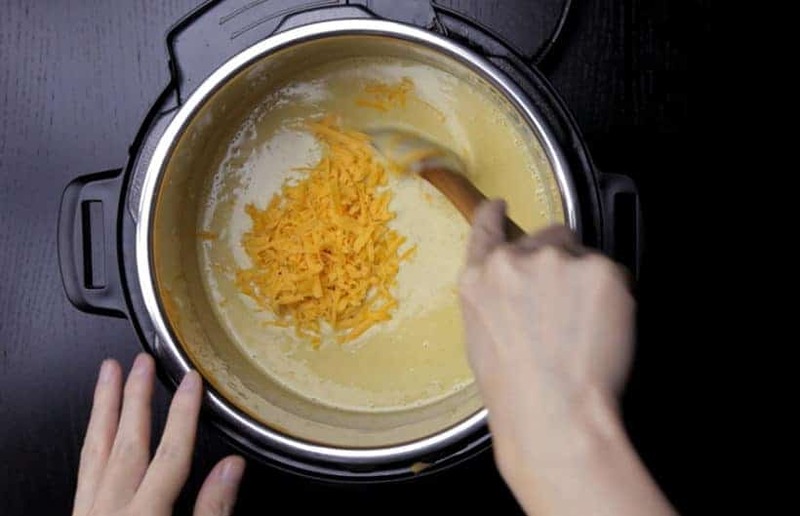 With a wooden spoon, add a handful of grated cheddar cheese at a time and stir constantly until the cheese fully melts. Taste and adjust accordingly as you may not need all the cheddar cheese. Add in the reserved broccoli florets and break them down a little with wooden spoon. Taste the soup and season with salt & ground black pepper. Just like our Creamy Tomato Basil Soup Recipe, this will be a really good soup to serve to your favorite guests with grilled cheese sandwiches on the side. ? 1. 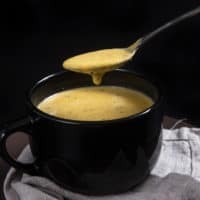 How to Avoid Graininess in Broccoli Cheddar Soup? 2. 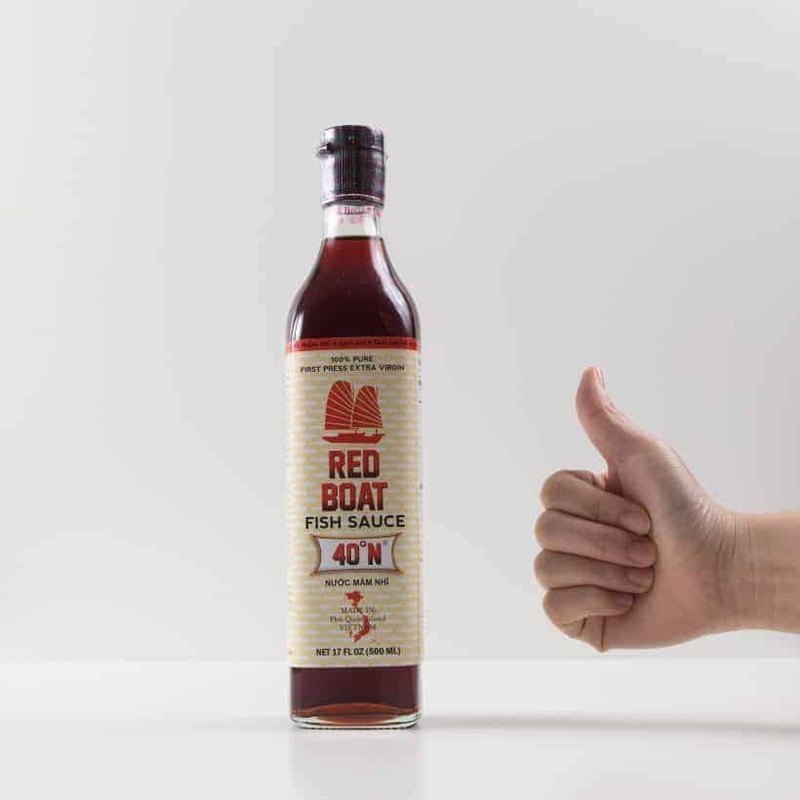 Why Use Fish Sauce? 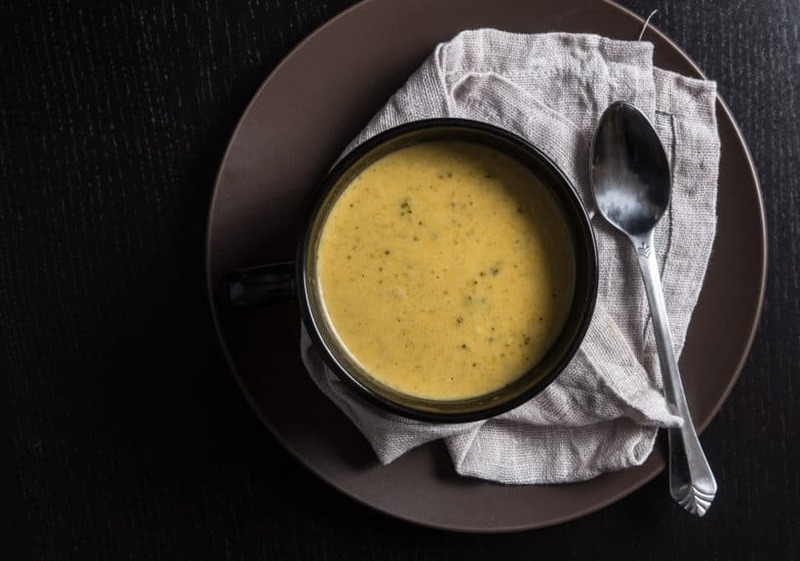 For this Instant Pot Broccoli Cheese Soup Recipe, it helps balance & add depths of layer to the overall flavor profile while cutting down the cheddar cheese’s sharp aftertaste. Don’t worry! It doesn’t make the soup tastes fishy. Try it and let us know what you think!! Make this Instant Pot Broccoli Cheese Soup Recipe (Pressure Cooker Broccoli Cheese Soup) right at home. Kid-friendly, vegetarian Broccoli Cheddar Soup is great for easy weeknight meals with grilled cheese. Prepare Pressure Cooker: Heat up your pressure cooker over medium heat (Instant Pot: press Sauté button to go to Sauté Normal Function). 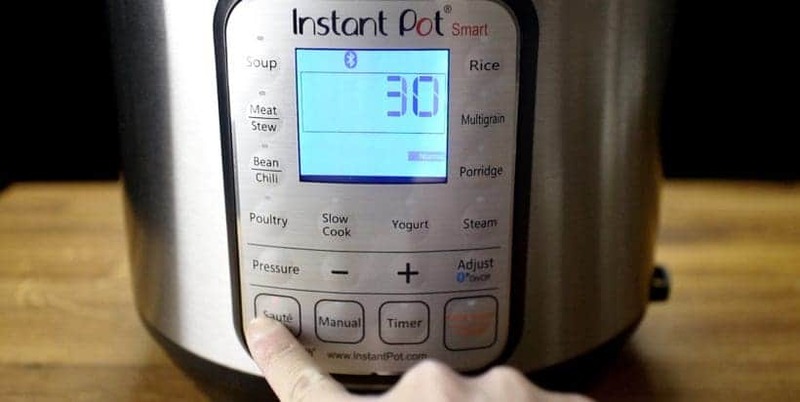 Make sure your pot is as hot as it can be (Instant Pot: wait until the indicator says HOT). 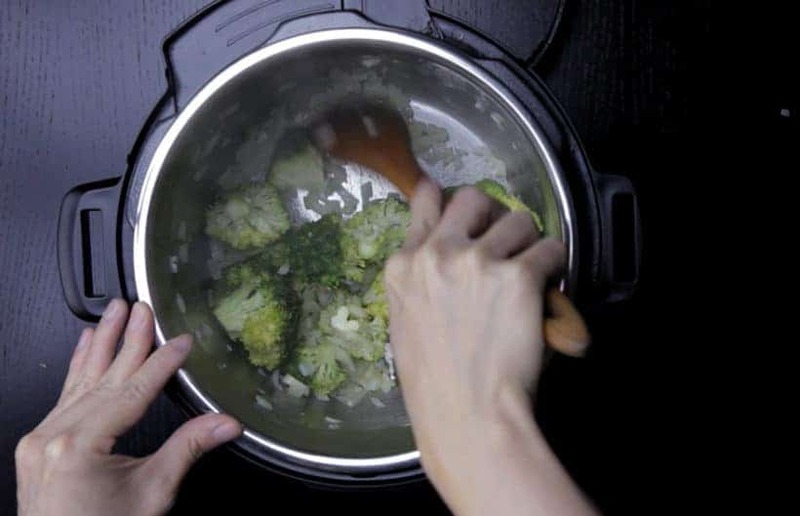 Saute Veggies: Pour 1 tbsp (15ml) olive oil & 2 tbsp (28g) unsalted butter in pressure cooker. Ensure to coat oil & butter over whole bottom of the pot. Add chopped onions in Instant Pot. Lightly season with kosher salt and freshly ground black pepper. Saute for roughly 2 minutes until soften but not brown. Add in chopped garlic and saute until fragrant (~30 seconds). Add in about 16 broccoli florets and saute until it smells earthy (~90 seconds). Add in chopped carrots, 3 tbsp (45g) Jasmine rice, and 1 tsp ground mustard. Give it a few quick stirs. Deglaze: Pour in ½ cup (125ml) unsalted chicken stock and completely deglaze bottom of the pot by scrubbing the flavorful brown bits with wooden spoon. 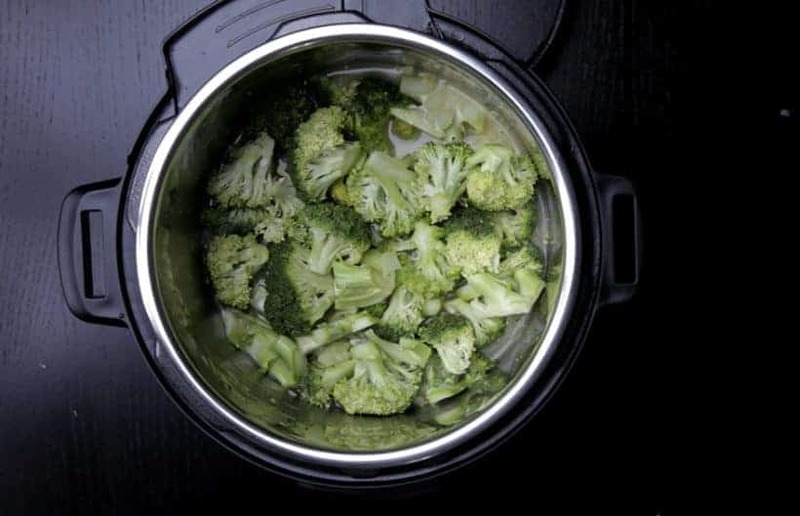 Pressure Cook Broccoli Soup: Add in remaining broccoli, 2 tbsp (30ml) fish sauce, and 2 ½ cup (625ml) unsalted chicken stock. Close lid and pressure cook at High Pressure for 3 minutes + 10 minutes Quick Release (after pressure cooker has finished cooking, wait 10 minutes then carefully release the remaining pressure). Turn off the heat. Open the lid carefully. 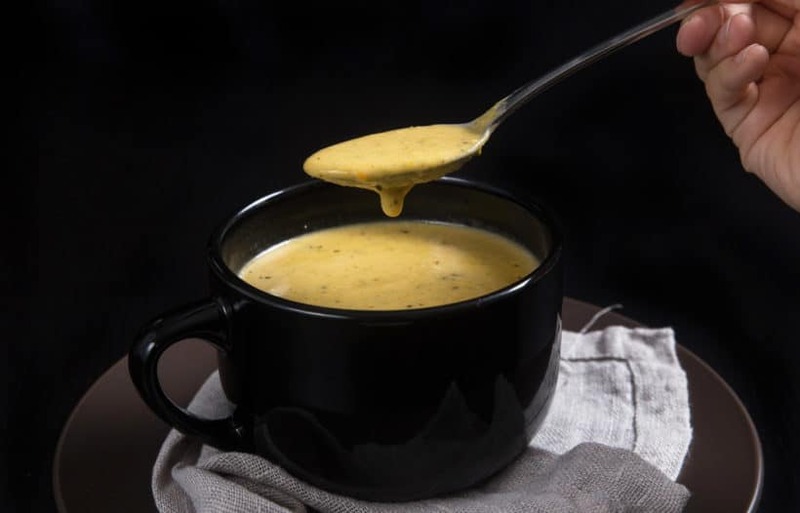 Grate Cheddar Cheese: While the soup is pressure cooking, freshly grate the cheddar cheese. 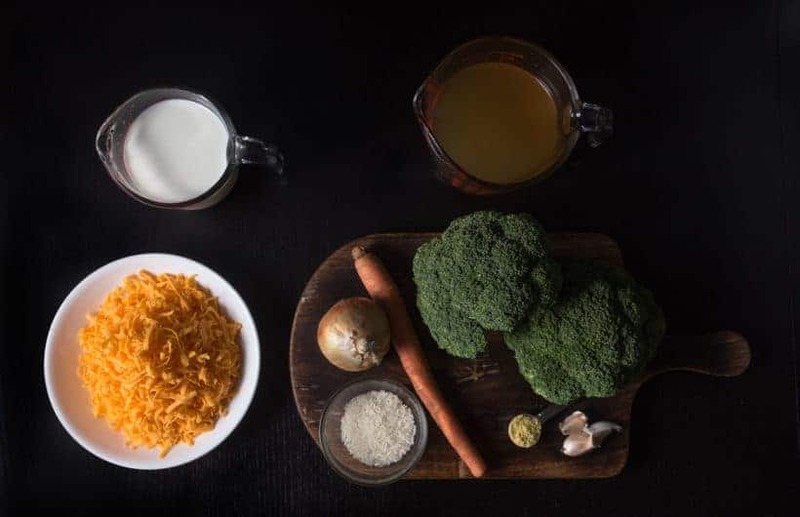 Blend & Create Broccoli Soup: In a bowl, reserve 16 - 18 broccoli florets. Pour in 2 cups (500ml) whole milk to slightly cool down the broccoli soup. Blend broccoli soup into a smooth consistency with an immersion hand blender. *Optional: Strain the broccoli soup over a fine mesh strainer for maximum smoothness. Add in Cheddar Cheese: With a wooden spoon, add a handful of grated cheddar cheese at a time and stir constantly until the cheese fully melts. Taste and adjust accordingly as you may not need all the cheddar cheese. Add in the reserved broccoli florets and break them down a little with wooden spoon. 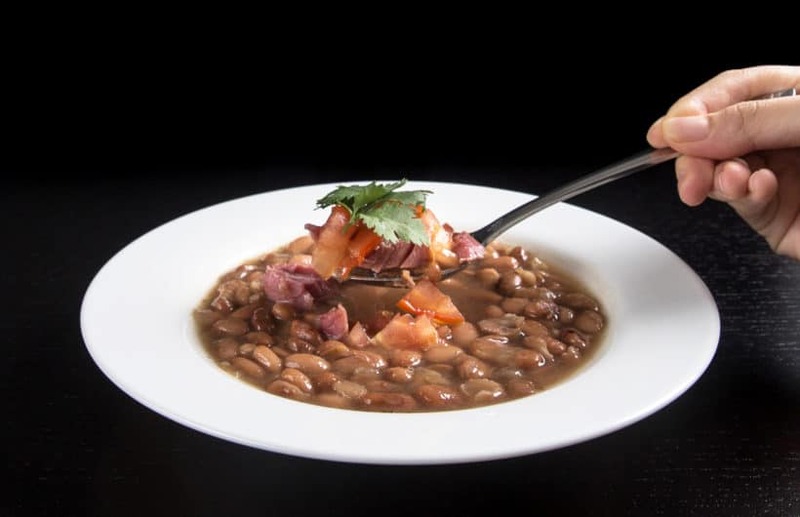 Taste the soup and season with salt & ground black pepper. Serve: Enjoy immediately. 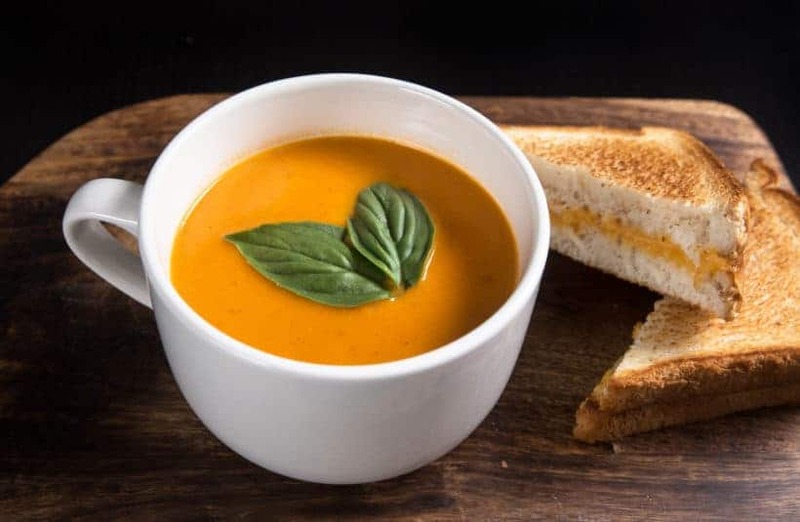 Just like our Creamy Tomato Basil Soup Recipe, this will be a really good soup to serve to your favorite guests with grilled cheese sandwiches on the side. Use Freshly Grated Cheese: Pre-shredded cheese contains cellulose powder that doesn’t break down nor allows smooth melting. So, using freshly grated cheese instead of pre-shredded cheese will yield much better final results. Got to try this it looks so good. Have fun making it & let us know how it goes. Really loving your page. This may be a silly question….but, is the rice noted above raw or cooked? Thank you so much for your kind words! The rice is raw. New to Instant Pot. Made the Umami Pressure Cooker Pot Roast – it was fabulous! I also want to thank you for putting the potassium content in your nutrition info. My husband is Type 2 diabetic and due to kidney problems must watch potassium intake – so this is VERY helpful. Very few recipes include that information. Also, he is allergic to fish so I would not use fish sauce. What, if anything, can/should be used in its place? Thank you! Love your recipes and tips! P.S. Would you consider showing alternatives within some recipes in order to make them diabetic and/or renal friendly? Thank you for your kind words & question. Soy sauce will be a good substitute for fish sauce. It will be quite difficult to show all the alternatives so I will have to discuss this with Amy and think it thru. Hi! SO excited about this recipe! 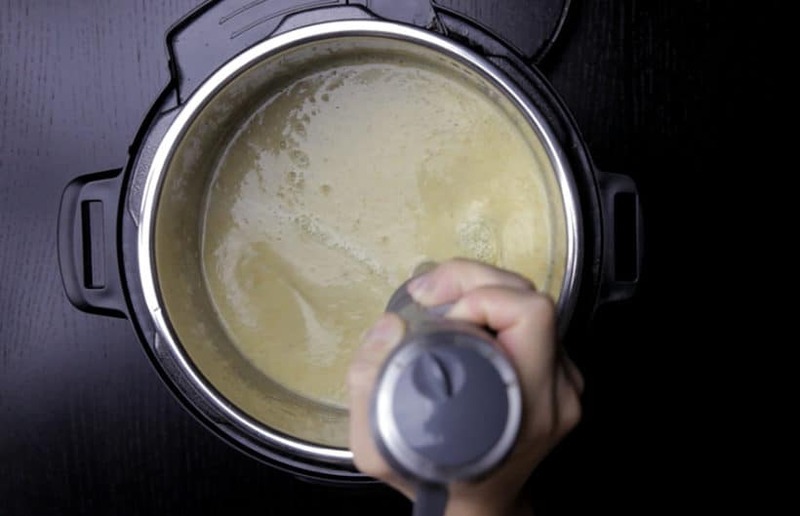 So here is my question I didnt realize until I got there and now am worried: this step: Close lid and pressure cook at High Pressure for 3 minutes + 10 minutes Quick Release (after pressure cooker has finished cooking, wait 10 minutes then carefully release the remaining pressure). Turn off the heat. Open the lid carefully. is that high pressure for 3 minutes and then high pressure again for 10? if so why not just do 13 high pressure? No, you will only want to cook it for 3 minutes and then wait another 10 minutes before turning the venting knob to the venting position to release the remaining pressure. Another hit! Just made this soup after making the cauliflower and potato yesterday, which was what inspired me to make this today! Love the work you do! Just want you to know that you are my go to instant pot website. I love making your recipes, they are well worth the effort. I don’t have milk, just half and half, can I substitute it? Also I only have chicken Better than Bouillon base, can I make broth using that? Yes you can substitute milk with half & half. If the chicken better than bouillon base is salty, you will need to taste and adjust the seasoning. This soup was excellent! Even my picky daughter had 2 bowls and is bringing some to work tomorrow. Thank you for all the great recipes. Glad you & your daughter enjoyed the broccoli cheese soup. The pho ga recipe is also good for conventional stovetop cooking. I’m planning to make this today. I want to set some aside for a friend who I may not see in the next couple of days. Will this soup freeze well? Will it reheat well in the microwave? This soup will freeze well, but you may have to reheat it on the stovetop for best result. Just made this soup tonight and it couldn’t have turned out better!!! My hubby and I couldn’t get enough! Love the easy-to-follow instructions too. Would I need to adjust the cooking time if I were to use frozen vegetables? I adjusted this recipe to what I had on hand ( which included fish sauce and mustard) and it was fantastic. Thanks for testing out and providing the best and tastiest food for the IP. Thanks Sarah! 🙂 Glad you enjoyed the broccoli cheese soup. Wish you & yours a blessed new Year! Do I have to use the mustard? It adds more depth to the flavor, but you don’t have to add the mustard. Yes, it is uncook jasmine rice. Oh man this soup is the bomb! So so tasty. The fish sauce did amazing things to the flavor. I almost cried when I realized there were no leftovers for me the next day lol. The only way I’ll make broccoli cheese soup from now on. Thx! Thank you for sharing your lovely experience with us. It makes us so happy hearing you enjoyed some delicious food!! Excellent. Did not have rice and used 2% milk. So happy to hear from you Cat. You stated this is vegetarian. You might want to add a note to sub veggie stock. ;-). I love your recipes! just made this and it is fabulous! split it and made half with coconut milk instead of whole milk and no cheese for my friend who cannot have dairy. added 6 oz. of white cheddar and one cup of whole milk to the remainder, and i’m snacking on a tiny ramekin as i type this. velvety smooth and very satisfying! into the freezer this goes for meals next week. thanks for your accurate, step-by-step instructions, especially the gram measurements for the ingredients! Thank you so much for using the recipe Jenn! good to know! thanks! bought a 3 lb bag of broccoli at Costco yesterday, so the timing of this recipe is perfect. if you don’t have jasmine rice, can you use another type? You can use any kind of long grain white rice. 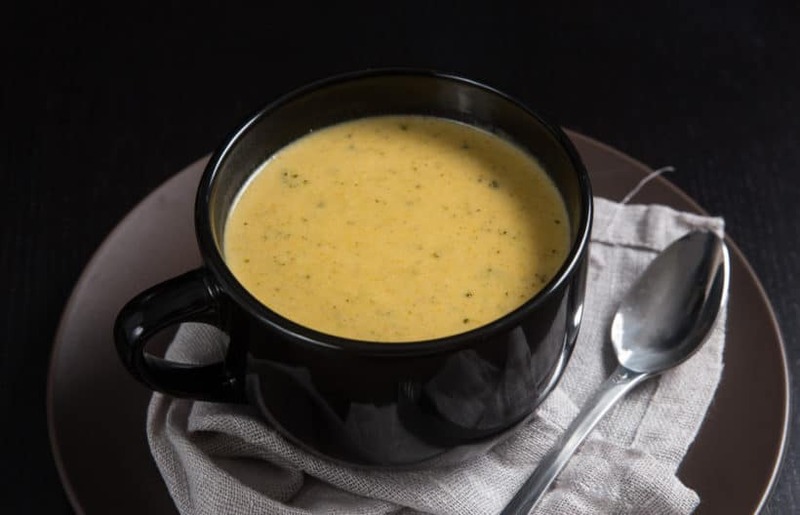 Hi Amy & Jacky–Just wondering if I could skip the rice in the broccoli cheddar soup? I try to eat low/no carb. Thanks! You can skip the rice in the soup. It is used to thicken the soup up and giving it a bit of shine.